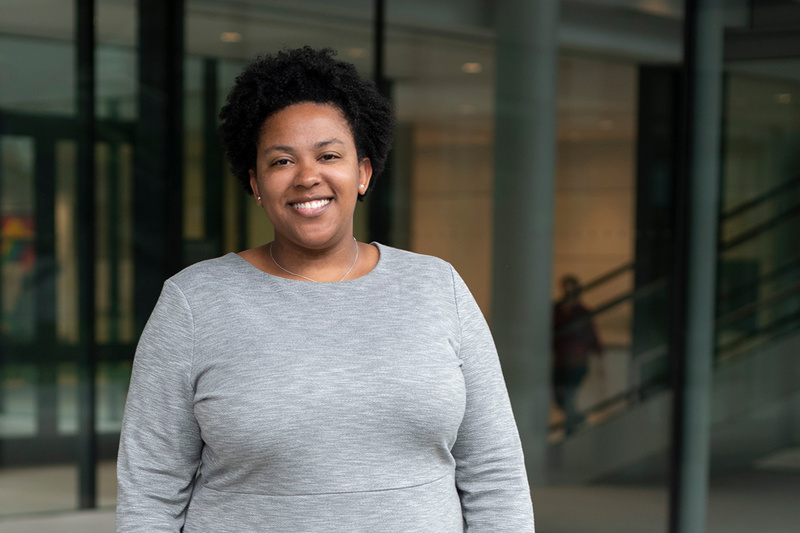 Yale SOM was a perfect fit for student government president Christina Whatley ’19, who has an interest in impact investing and a passion for global learning. Two scholarships were paramount in her decision to enroll. Yale SOM’s Global Studies Requirement means every MBA student gains some global experience, through travel or virtual teamwork or both. For Christina Whatley ’19, the requirement was just a starting point; she visited 10 countries on three continents during her first year at Yale. A graduate of Georgia’s Spelman College, Whatley worked in investment banking and private equity before heading for business school. She was drawn to Yale for its “sense of community—everyone is invested in seeing everyone else do well.” She found that mindset evident even during a pre-MBA trip to Colombia, a student-organized bonding experience just before classes began. She also availed herself of a curricular travel offering—a spring-term International Experience in Serbia, Bosnia, and Croatia (and made stopovers in Hungary, the Czech Republic, and Turkey en route). She spent winter break on one of several “treks”—unofficial but educational trips organized by students; she chose the Africa Trek, visiting Nigeria and Ghana. “I’m interested in West Africa from a business perspective,” she explains, “but I’m also of West African descent but had never been there, so for me it was personal as well as professional.” She visited her 10th country on a fall-break trip to Iceland with several classmates; “that was just vacation,” she says. Whatley’s Yale SOM experience hasn’t been all about passports. She was invited to be a teaching assistant for the core course Power and Politics this fall. She landed a summer internship with DBL Partners, a Bay Area venture capital firm with an impact investment focus (headed by Nancy Pfund ’82). And she was elected president of the student government in April; her platform includes deepening the school’s culture of inclusivity and recruitment of under­represented students of color. She is also a member of the Yale SOM chapter of the Consortium for Graduate Study in Management, which is dedicated to increasing diversity in management education. These articles originally appeared in the Yale SOM philanthropy report, Impact: Support for the Yale School of Management, 2017–2018.